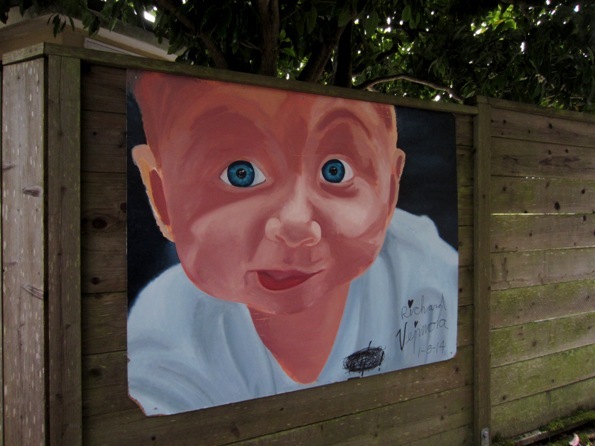 The other night, going for a walk, I was intrigued to see this picture on a neighbor’s fence. Since it was dark, my photos didn’t come out well, with a splotchy white reflection from the flash. But a couple of days ago, I actually made it during the day. It’s a rather dramatic painting, with something deleted and the artist’s signature: Richard Vejmola, dated 1/8/14. Wonder who the baby is? 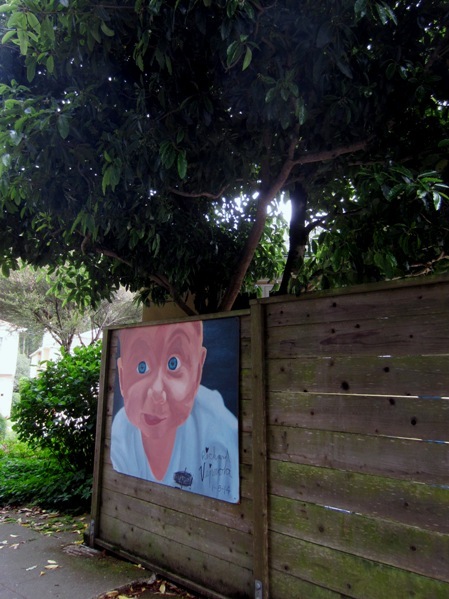 Thanks, whoever put it up – It’s a quirky addition to our beautiful neighborhood.